The scientific name for the Japanese holly is Ilex crenata. Sometimes this evergreen shrub is called box-leaved holly. The Japanese holly can easily grow 10 feet tall and 8 feet wide. You can recognize this shrub by its small, dark green leaves and white flowers. If you would like to grow Japanese holly on your property, you will need to know how to properly care for it. 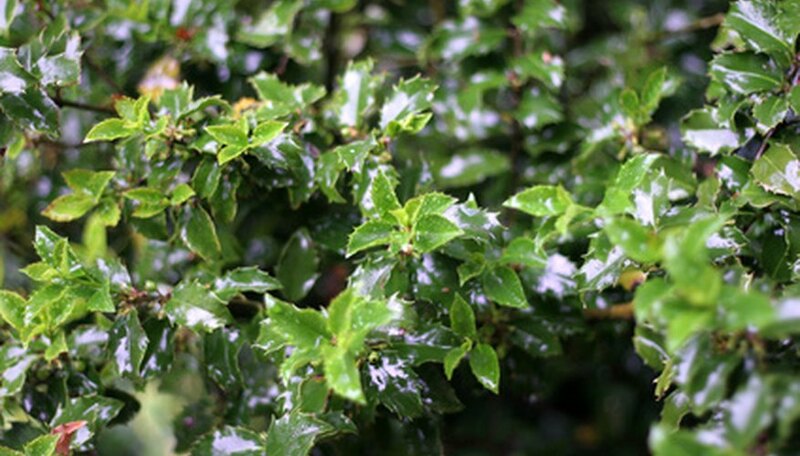 Use a sandy, loam, or clay soil when planting Japanese holly. The soil should have a pH of 3.7 to 6.8. You can buy a kit to test the pH of your soil or you can hire a professional to do it for you. Set your Japanese holly in an area where it will receive mostly sun. A little bit of shade is okay, but the more direct sunlight the better for this shrub. Use a 10-10-10 fertilizer once per year. The best time to apply this fertilizer to your Japanese holly is in the spring. Make sure you follow all of the directions on the product label so that you do not over-fertilize. Water your Japanese holly shrub once per week if there wasn't any significant rainfall since your last watering. The key is to water deep into the soil. At least 6 inches is best. If you had a heavy rainfall, the soil will be soaked and you will not need to do this. Apply a layer of mulch around the base of the Japanese holly before winter sets in. This will keep the roots from freezing. The mulch should be at least 2 inches thick for the biggest benefit. Use pruning shears to prune your Japanese holly right after the first flower buds appear. You can prune to keep your Japanese holly a certain height, or shape. Pruning will not hurt the Japanese holly in any way. This shrub is tolerant of wild animals such as deer and rabbits. Japanese holly shrubs are susceptible to caterpillars. Just mix a squirt of dish soap with a spray bottle full of water and aim it at any caterpillars you see. This is an excellent, all-natural way to control the caterpillars.